Toyota Land Cruiser delivers next-level capability, class, and comfort for both solo drivers and large families. From its powerful standard powertrain to the wide variety of standard luxuries, this SUV is an experience you won’t want to miss out on. The 2017 Toyota Land Cruiser comes in 4WD and in one trim level. The 2017 Toyota Land Cruiser has a 381-horsepower V8 under the hood that works in tandem with features like Multi-Terrain Select and Crawl Control to offer drivers a kind of all-terrain capability that’ll rock your world. 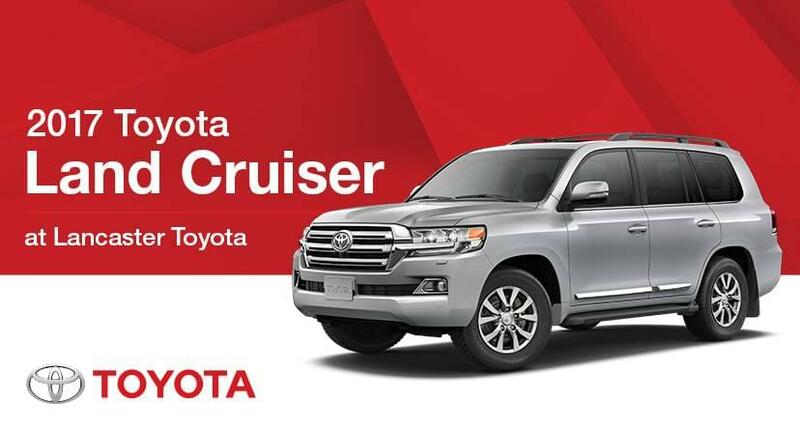 However, even if you’re using the Toyota Land Cruiser as a family hauler, you’ll find the interior appointed with tons of entertainment and convenience features for parents and kids alike to enjoy, plus refined, spacious seating and top-of-the-line materials. The 2017 Land Cruiser does it all.